Imagine being so wealthy and successful that you need to build a mall in your basement just to hold all of your excess stuff. Such is the situation that living legend of stage and screen Barbra Streisand has found herself in, as described in her 2010 book My Passion for Design. Playwright Jonathan Tolins has taken his fascination with this idea, and Barbra herself, and turned it into a successful Off-Broadway play Buyer and Cellar. 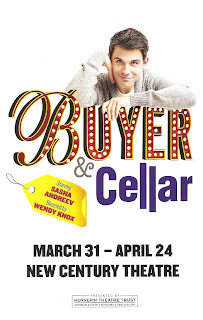 Hennepin Theatre Trust has brought this delightfully amusing one-man show to Minneapolis, starring the uber-talented local theater artist Sasha Andreev and directed by acclaimed director Wendy Knox of Frank Theatre. The one-person cast and many-person creative team have come together to create a wonderfully entertaining evening of theater that is funny, fantastical, chock full of pop culture references, and surprisingly touching. Playing through April 24, you would be wise to pencil this one into your theater schedule. Sasha Andreev plays all of the characters in the story, primarily an out of work L.A. actor named Alex who gets a job working in Barbra Streisand's basement mall. Sasha begins the show by reminding us that this is a play, he is an actor, and none of this is true (well, except for the fact that Babs really does have a mall in her basement). Once he gets into the character, he continues to speak directly to the audience throughout the show, as if telling us the most delightful story. This immediately invites the audience into the story in a wonderfully casual way, which makes it easy to get caught up in Alex's life and want it to turn out well for him. 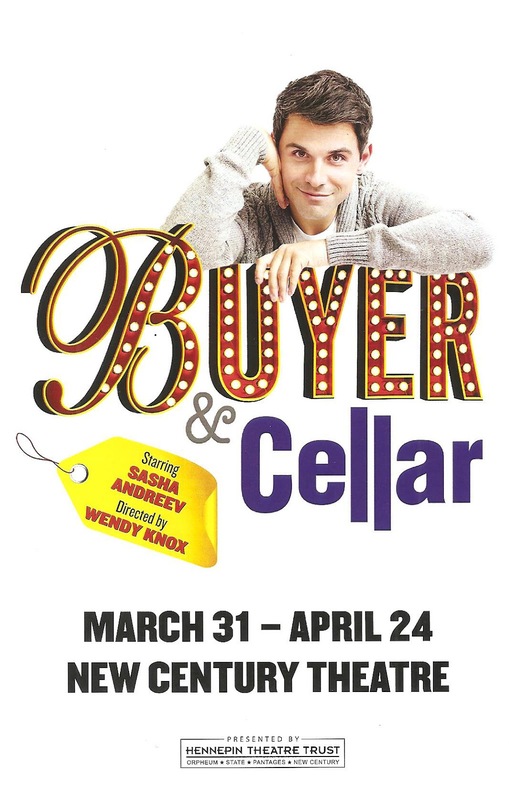 Sasha does a beautiful job of navigating this fast, funny, and smart script, creating distinct characters out of likeable Alex, his Brooklyn boyfriend Barry, gum-smacking boss Sandy, and even the enigmatic Barbra and her husband "Jim." 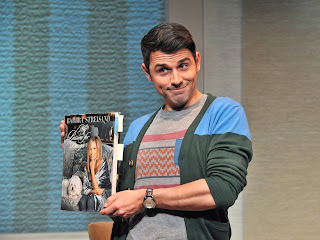 Buyer and Cellar is, for the most part, a really fun celebration of all things Barbra, which I thoroughly enjoyed (despite missing maybe one-third of the references). The surprisingly touching part comes in when Alex has a bit of an existential crisis when he thinks he's Barbra's friend and equal, and then discovers that might not be true. So you might leave the theater contemplating your idea of utopia (a basement mall? a world in which you're pretty? ), or wanting to see more Barbra Streisand movies, or craving frozen yogurt. But you will most definitely leave entertained. This charming one-man show (with a great team behind him) continues at the New Century Theatre in downtown Minneapolis through April 24.